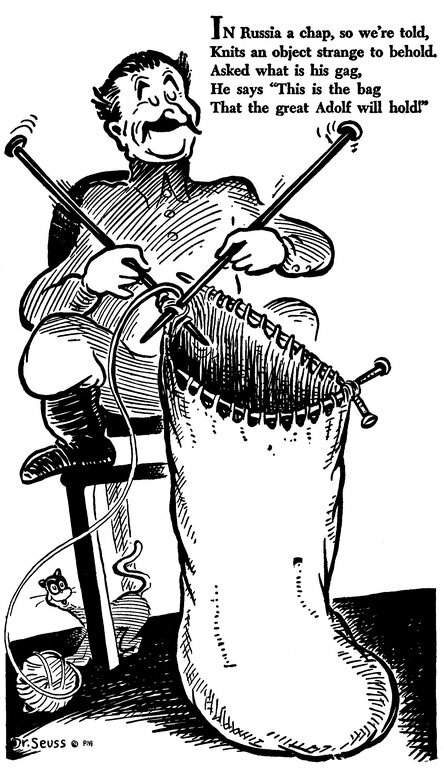 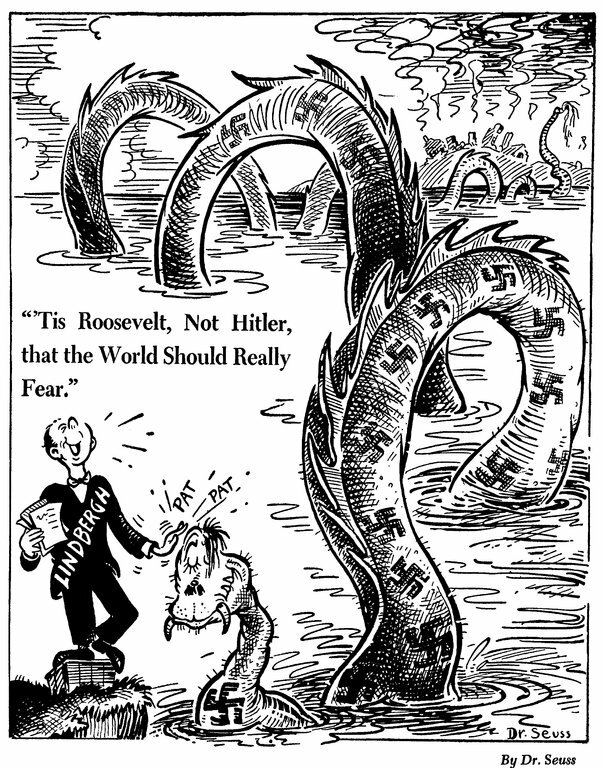 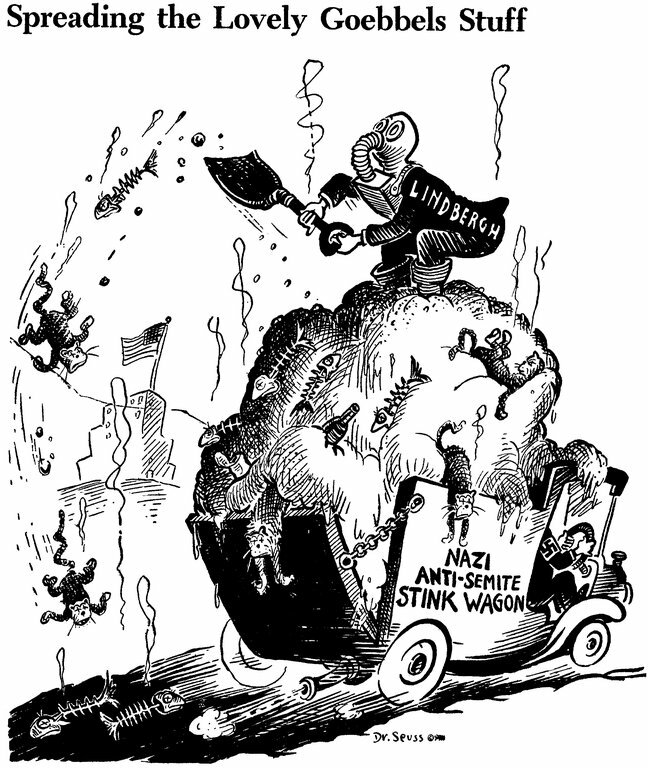 It is not commonly known that Dr. Seuss was a US political cartoonist. 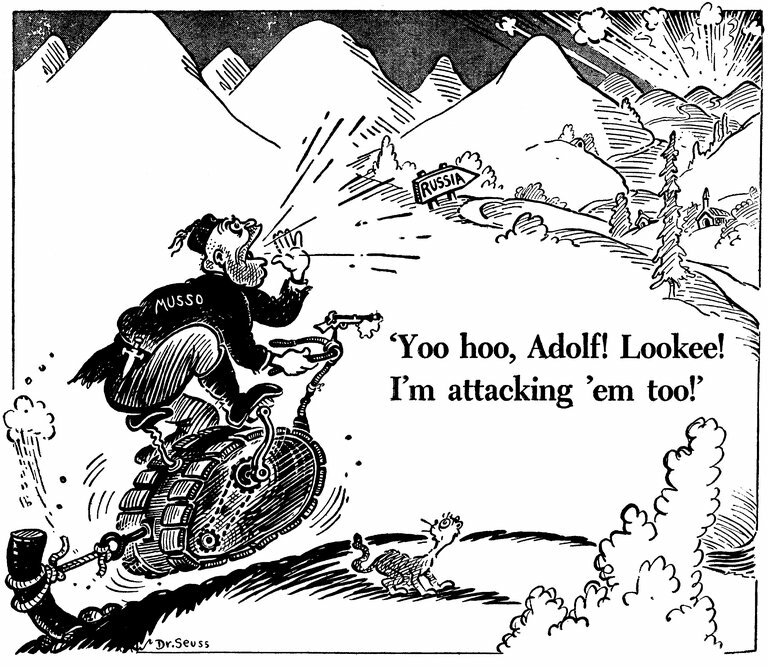 He is rather remembered for creating children's books and such works. 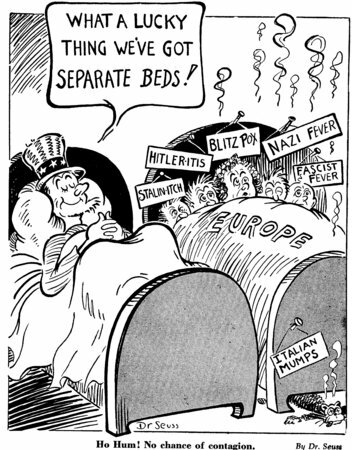 But for two years, 1941-1943, he was the chief editorial cartoonist for the New York newspaper PM (which lasted from 1940-1948), and for that journal he drew over 400 editorial cartoons. 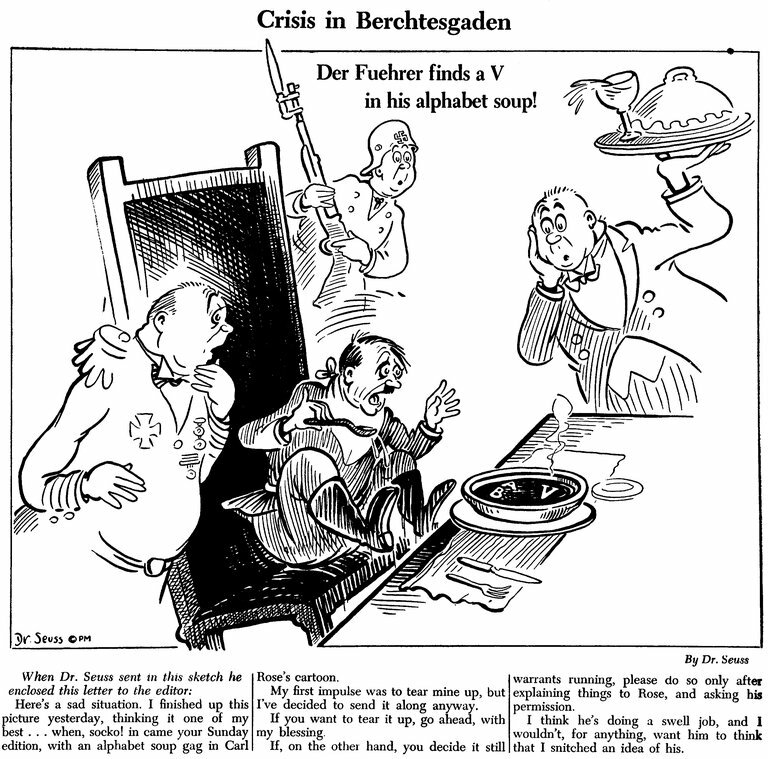 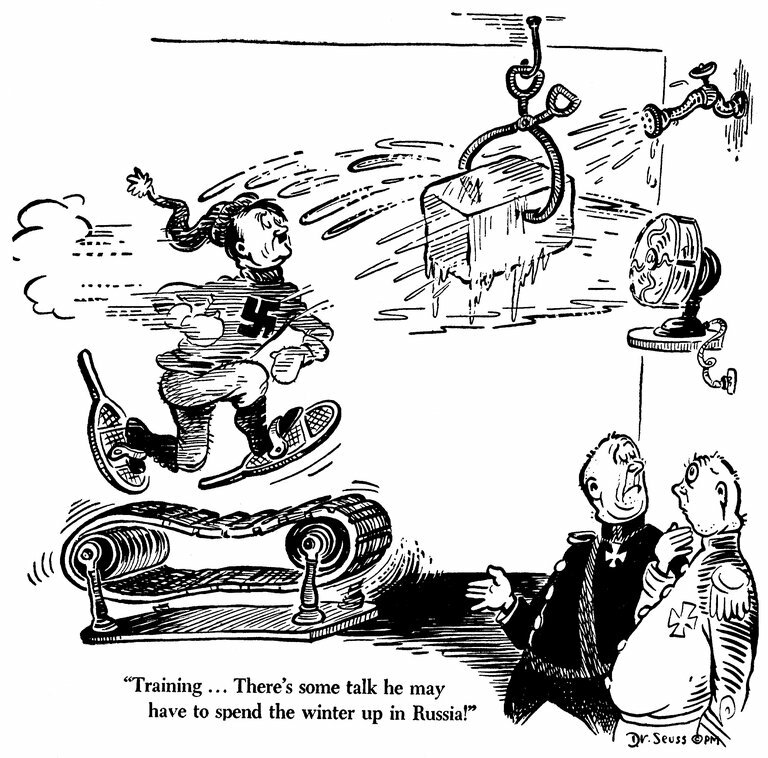 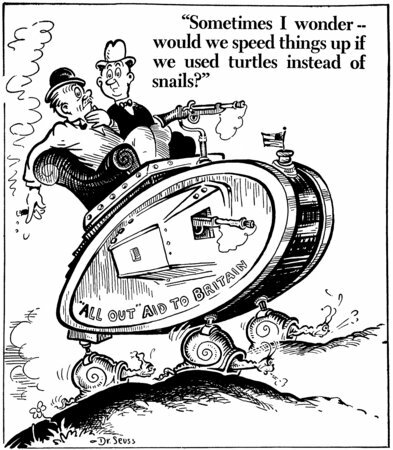 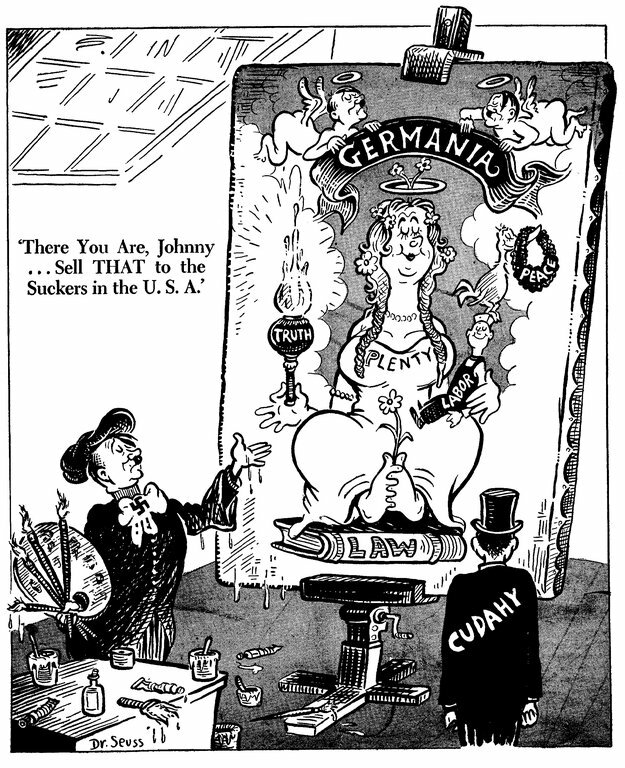 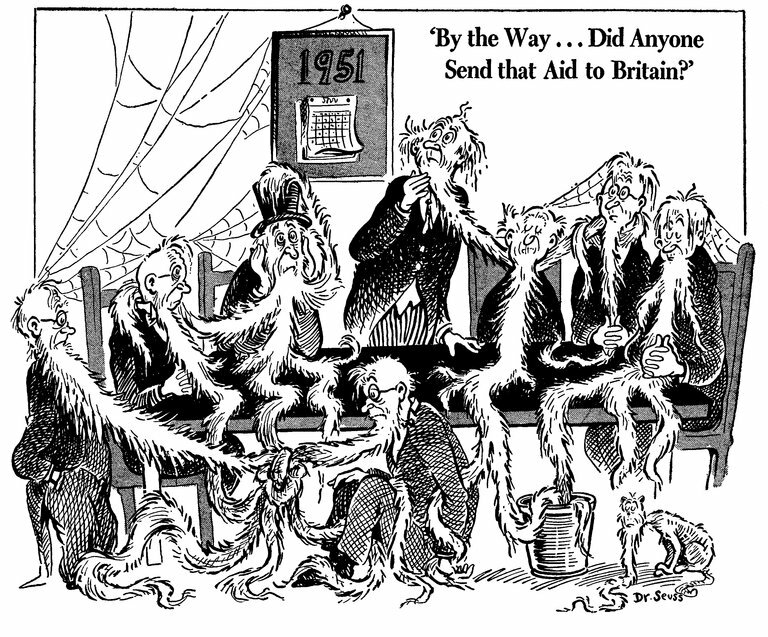 1941 cartoon commenting of the US' slow aid to Britain. 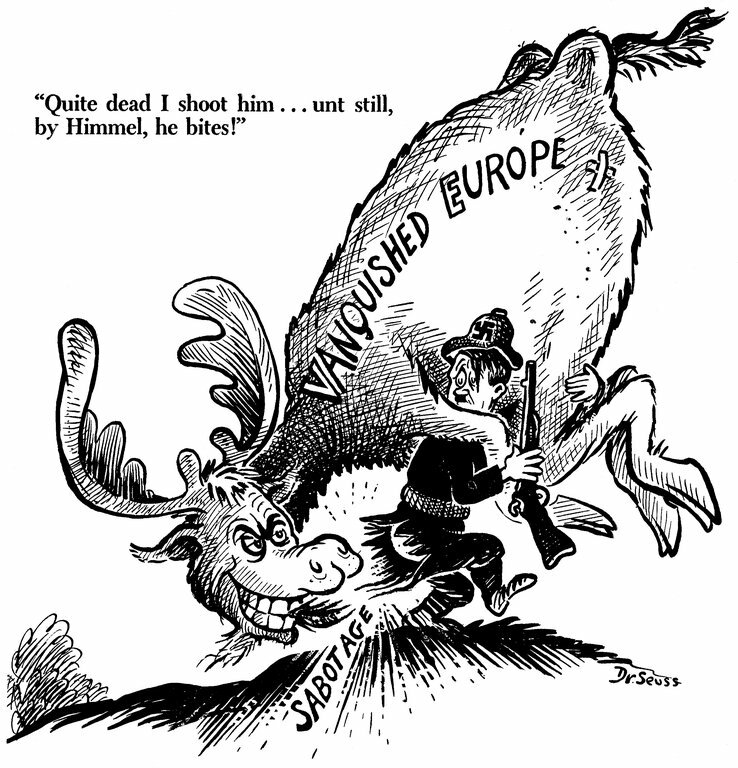 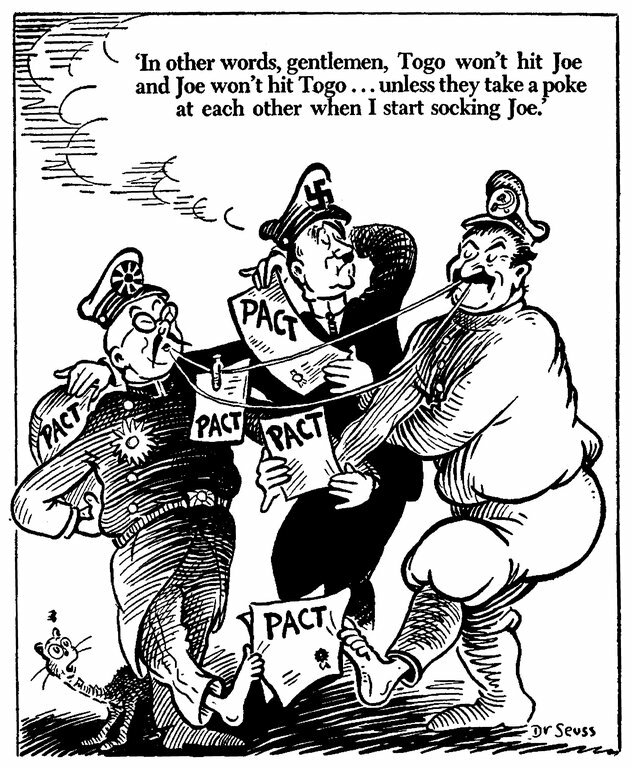 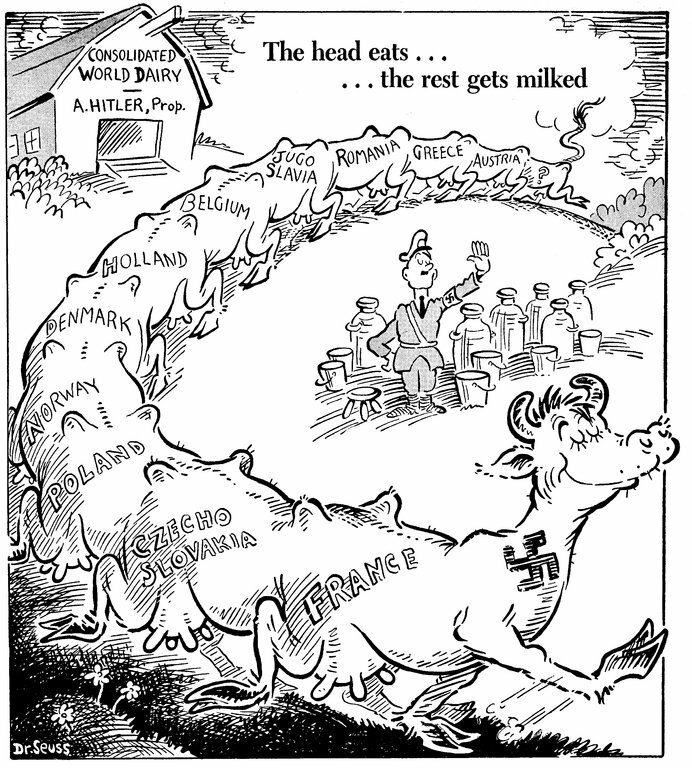 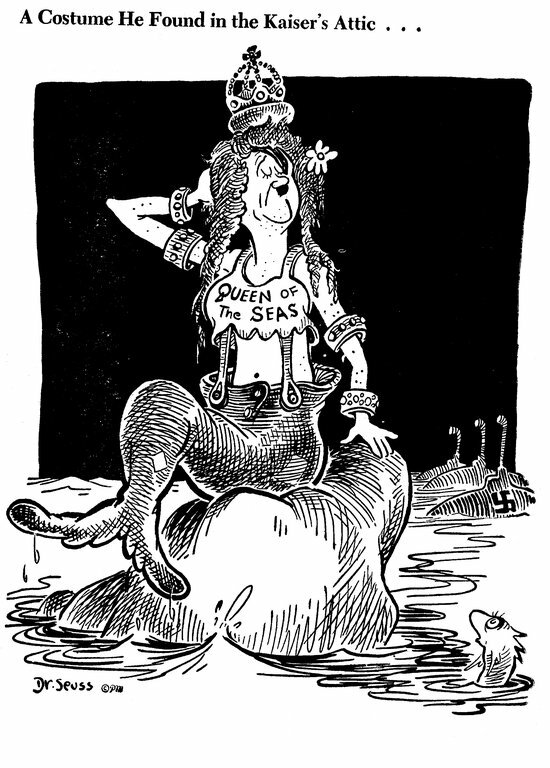 1941 cartoon commenting on the US' reluctance to go to war. 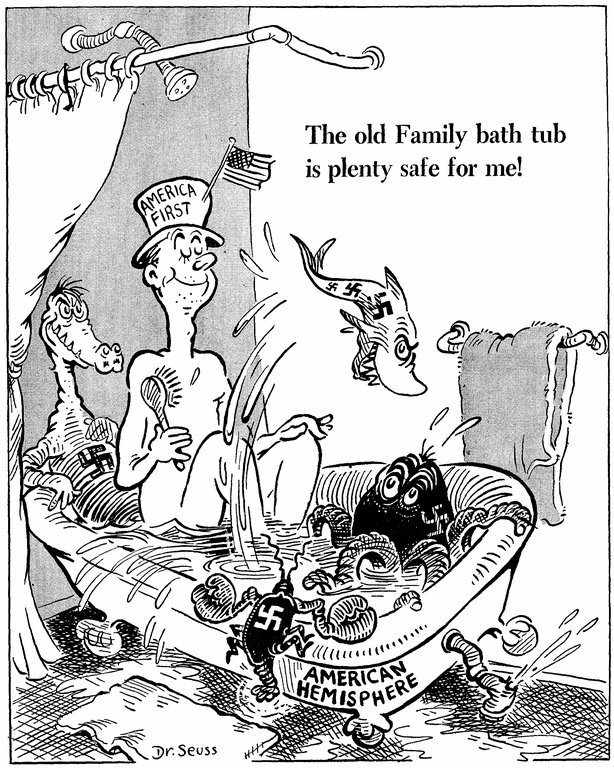 Dr. Seuss commenting on America First an anti-war organization that did its best to keep the US from joining WWII. 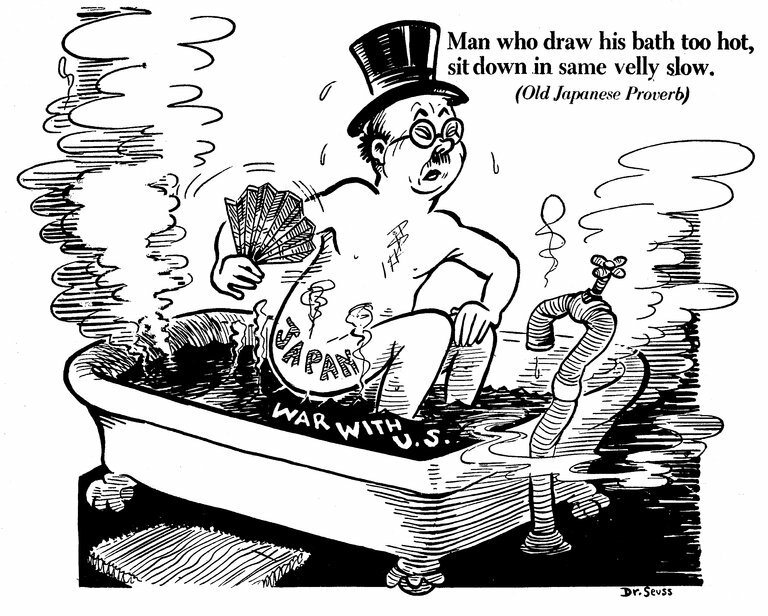 It was disbanded three days after the attack on Pearl Harbor. 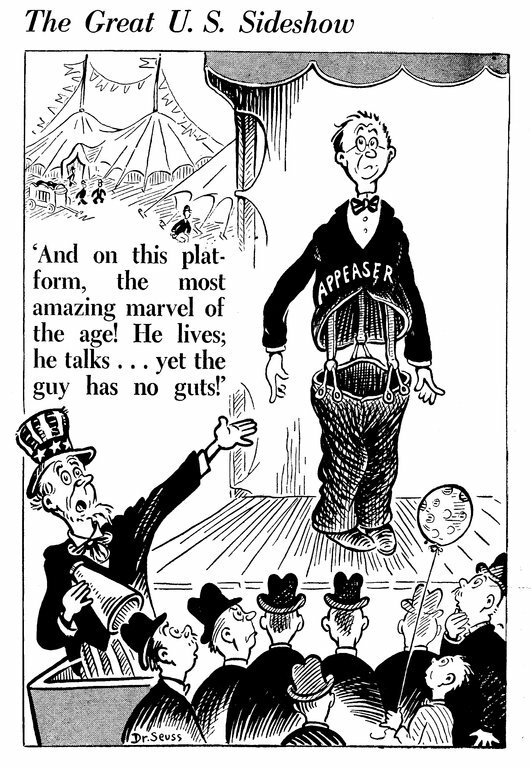 1941 cartoon concerning anti-war advocate Charles Lindbergh. 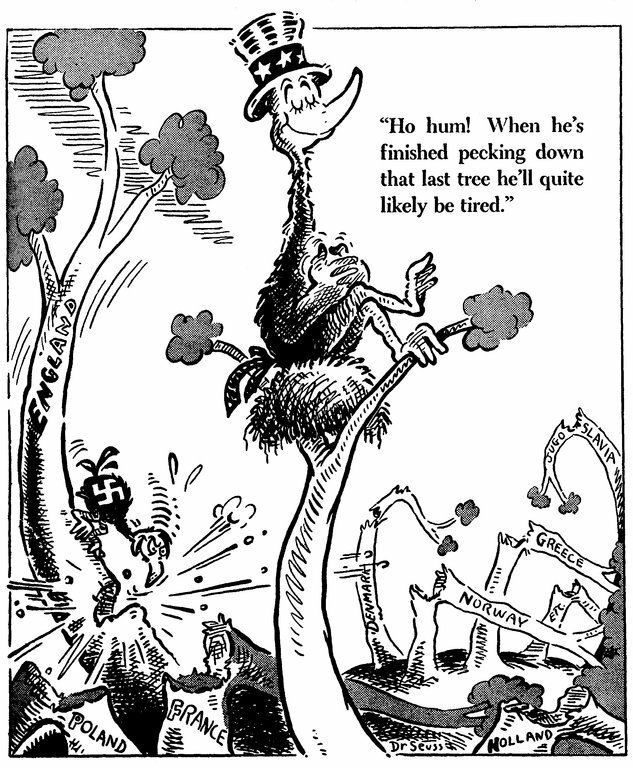 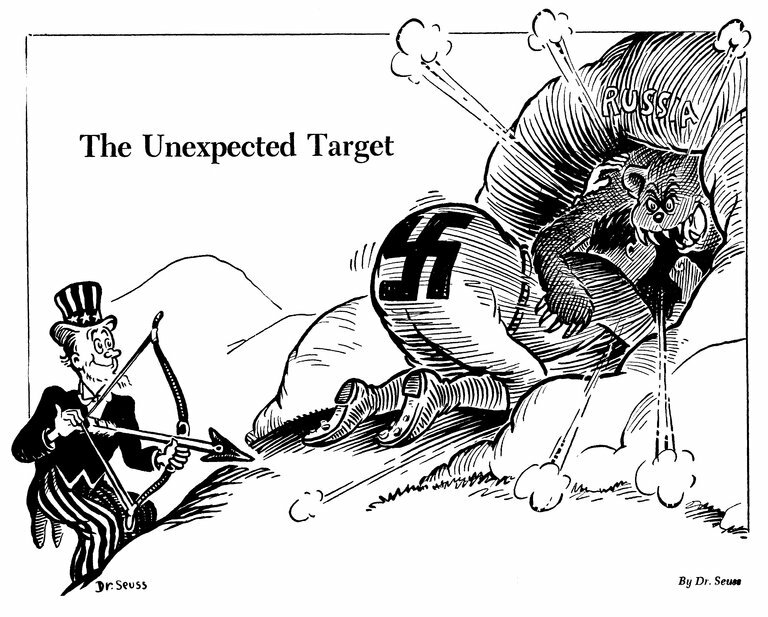 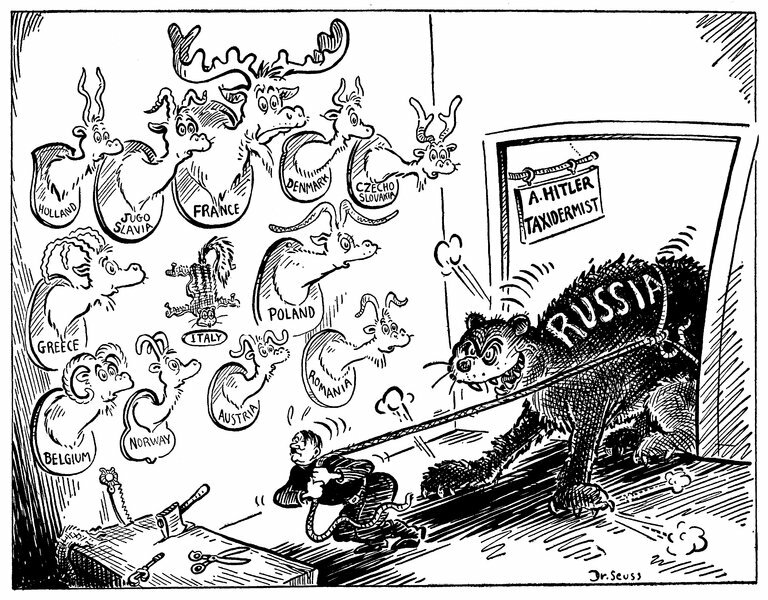 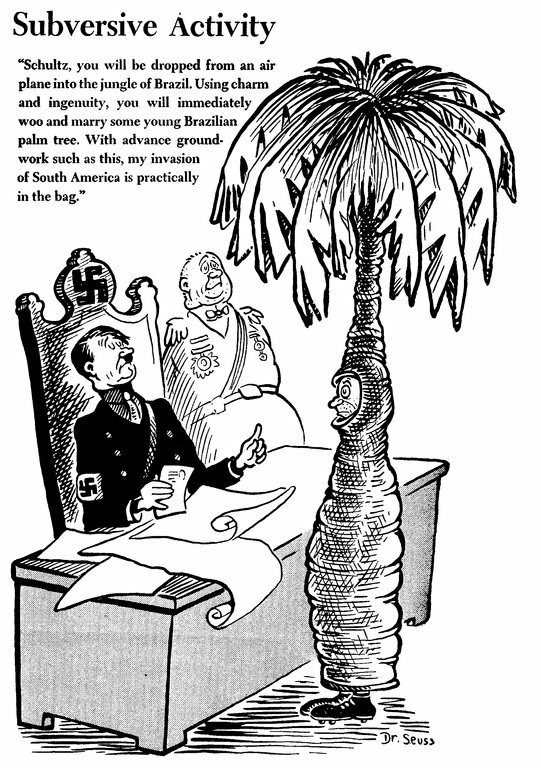 Dr. Seuss commenting on those who wished to use Appeasement, or a diplomatic policy of making concessions to an enemy power in order to avoid conflict, with Hitler (1941). 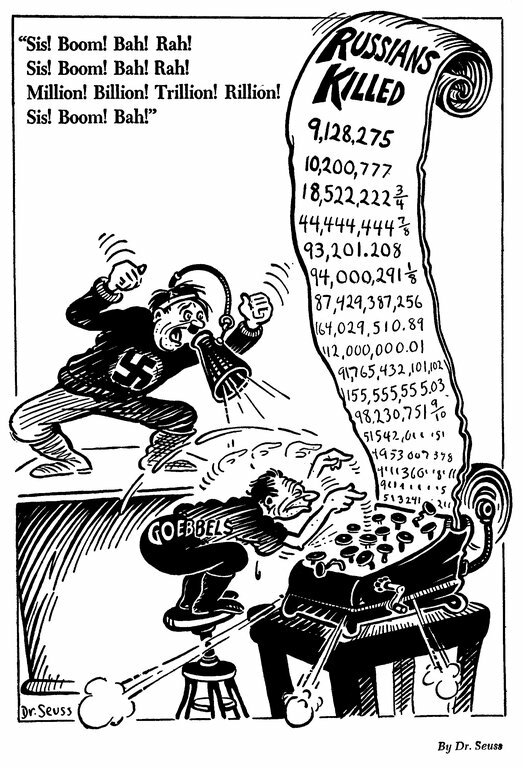 CAGES COST MONEY! 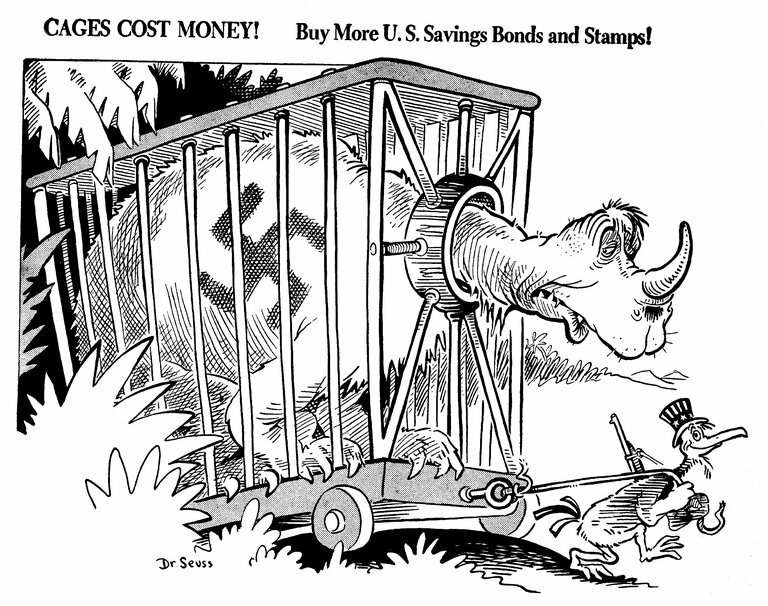 Buy More s. Savings Bonds and Stamps?